18…17…16… Can you bake that Matzah before the dough rises? Welcome to the Matzah Factory! A hands-on experience, at which you cut, thresh and grind wheat into ﬂour. Then, while racing against the clock, they mix, punch, roll and bake their very own Matzahs to take home. From farmer to baker, you are doing it all... in under 18 minutes! ✦ Special Matzah Presentation ✦ Bake a Matzah ✦ Get an Authentic Handmade Shmura Matzah from Israel ✦ Have the Time of your Life! 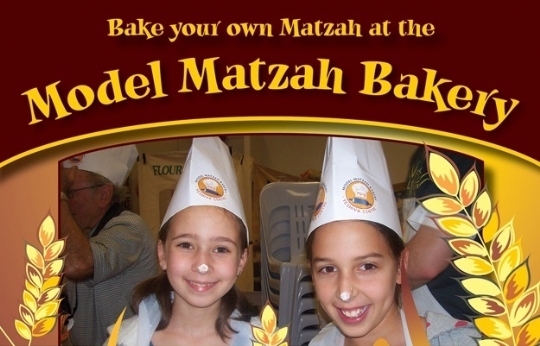 Model Matzah Bakery - For for the whole family!